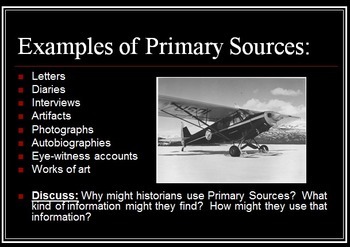 This 20 slide interactive PowerPoint Presentation focuses on primary and secondary sources. It gives definitions, examples, and topics to discuss with students. 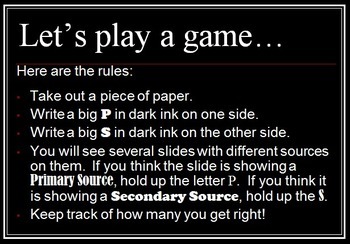 The last 10 slides are dedicated to a game in which students make placards that say P or S and hold them up, depending on whether they think the source on the slide is a primary or secondary source. 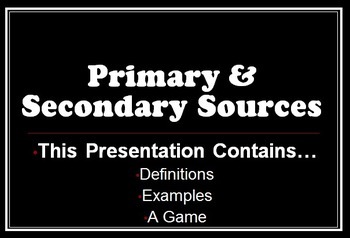 The final slide includes an assessment idea to make sure that your students understand the difference between primary and secondary sources and can name a few examples of each. 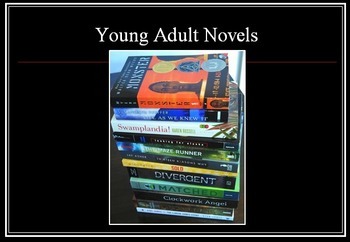 This is a great way to bring an interactive aspect to an important concept! Thank you for choosing The Teacher Lady!